Five years of widowhood and the imminent marriage of her son as well as her daughter nearing college age have left Josephine Prescott at loose ends. When a golden-haired rogue, 13 years her junior, propositions her, she immediately dismisses him. She’s a proper Victorian lady after all, yet a lady can only protest so much. Alexander Hallworth, Marquess of Pembrooke, will not rest until he gets vengeance on the man who destroyed his family. Just one more piece needs to fall into place for Alex to succeed: he needs to convince the man's fiancée, the tragically beautiful Lady Claire Cavensham, to marry him instead. 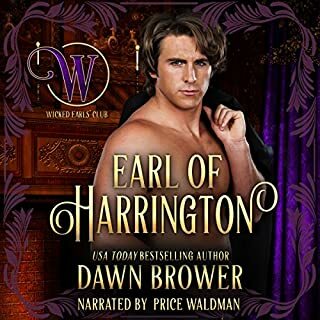 Lady Claire's "curse" has left her one step away from social ruin: her past three engagements have gone awry, and now her fourth one is headed the same way. Some fairy tales are twisted. As the daughter of a duke, Lady Annalise Palmer should be living a charmed life. Appearances can be deceiving, though - her father has ensured that her entire life has been filled with nothing but heartache and hardship. Happiness is an elusive emotion, and love is nonexistent. She has no reason to believe she’ll find either. Ryan Simms, the marquess of Cinderbury, has been alone nearly his whole life. After his father died, he was abandoned by his grandfather and left in the care of his wicked stepmother. From a young age, he learned not to trust a lady and never to fall in love, especially. They are two lost souls in search of salvation. Together, they can help each other heal, if they can believe in the possibility of happiness, and escape the torment they’ve both suffered and discover an eternal love along the way. This is such a sweet and sad story. Annalise and Ryan were such tortured souls growing up with cruel guardians. They have a spark from the moment they meet. Only she knows her father will not allow her to be with him. But sometimes fate has other things in store for us! This story was really good with some very likable and some not so likable characters. I loved Annalise's grandmother! I really liked the story but not so much the narrator. I don't believe she suited this book. I had to put it down a few times before I could get back to it. Other than this I actually liked it. At first I thought I wouldn't like this story and I was wrong. I didn't just like it, I love it so very much! This story is a reminder for me that there is always sunshine after the rain and a rainbow! Such a great story. Something that would make you want to fall in love over and over. The narration by Verona Westbrook was also great! 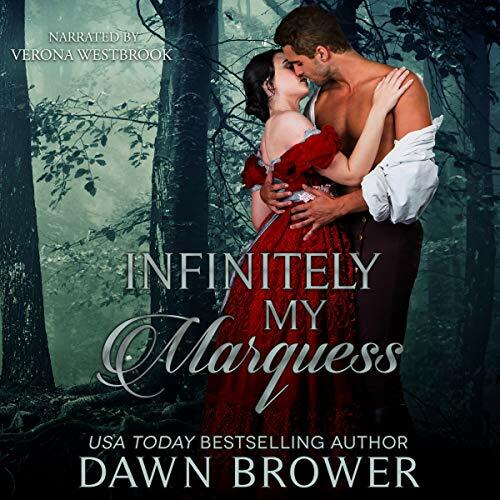 Infinitely My Marquess is an entertaining Regency romance by Dawn Brower. The leading characters are likeable and well-developed, and the plot had the right amount of twists and turns to be interesting. There could have been more development as to how the relationship between the two main characters went from heightened sense of interest to intense love. The supporting characters, including the villains, were nicely written into the story. Verona Westbrook did a great job with the narration. This is a great Historical Romance. This is the third book in the Ever Beloved Series, but I haven't listened to the first books in the Series yet. Annalise and Ryan are two lost souls, suffering of bad guardians and mistreatment. I like their story, and their journey to happiness and love! The story is well written, filled with twists and turns. The characters are well developed. I like the ending. Verona Westbrook did a good narration, but the characters weren't easy to distinguish. I enjoyed listening to this story. I received this free review copy audiobook at my request and I have voluntarily written this review. The story is an interesting one. It has the male lead (Ryan) as a Cinderella like story. He is so mistreated in the beginning that he is distrusting of any woman. The lead female (Annalise) has had a bad life as well. They learn to trust and love each other throughout the story. It is a good listen. I would recommend it to anyone who likes romances. What a big selection of really bad and evil people! Each of them playing their part in the budding romance between the two decent characters, Annalise and Ryan, both of whom have been dealt the worst of situations and contacts in their early lives. Things change for the better when they meet and they just keep on improving until we read the 'happily ever after' at the end. The story is nicely written but it dropped a star in my rating as I felt it could have been faster paced - but don't get me wrong, its still a lovely story! Verona Westbrook is the narrator and she read quite well. I requested, received and listened to a copy of the audiobook and my review above is given voluntarily and is unbiased. I got this ARC via audiobook boom and this is my voluntary review. I loved this story. 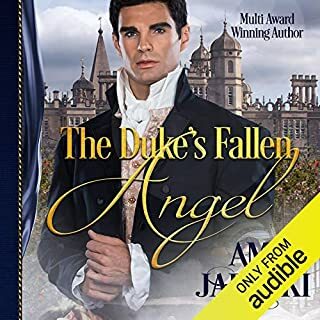 I thought it was going to be like some of the other newer regency romances but it was not. It was a good story and well written. I loved the grandmother. It began as a reverse Cinderella but moved on to another twist of a different fairy tale then ended on such a good note. A young boy left in the care of an evil step mother with two step sisters, much like a Cinderella, until his uncaring grandfather takes over his care. He grows to distrust and unbelieving in love. Both eyes opened to love and the fight for it. Really liked the story, well written. The narrator was ok, but there were too many pauses between each line..too little expression..everyone and the same level of emotion. The story would have come across so much better read without the stiffness. 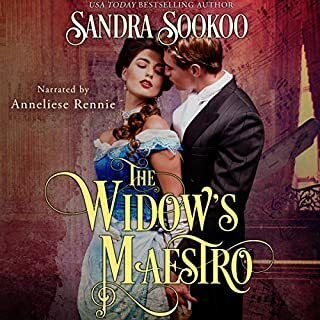 I have to admit I was excited when I was approved to review this book, because as much as I love historical romance, I have never listened to a historical on audiobook. It was an absolutely delightful experience and I will certainly be picking up more historical audiobooks from here on out. The writing of this book was very good. 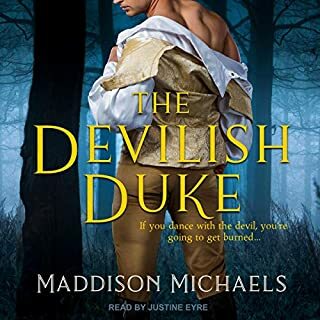 It leaned less away from the traditional historical romance style that I find quiet often, and had more of a true historic sounding voice. In fact, the writing reminded me of a modern Georgette Heyer, which I don't often find in historicals. I saw another review mentioned there could have been more dialogue, but I personally did not find this to be an issue. For being such a short book, this book had excellent pacing. The romance was drawn out just enough to be enjoyable and it wasn't jumped right into, which I appreciated. I wouldn't have minded a longer book, and I did have a few issues with the ending, but overall, it was a pleasant experience. The characters were fantastic for such a short book as well; I liked how the themes of abuse were covered in both Ryan and Annalise's stories, it allowed both characters to instantly become more fleshed out for such a short book. Additionally, I thought the hints of Cinderella in this story were very fun and subtle.